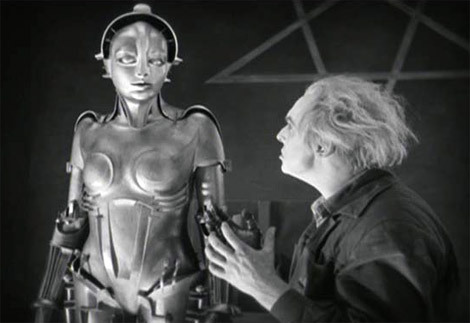 The Museum of Cinema in Buenos Aires recently found a full cut of Metropolis during a search of their archives, thanks to the decades-long effort of Argentinian film enthusiast Fernando Pena, who had heard tales of someone screening a copy of the film in the 1960s that ran far longer than any other known copy. After years of persistent requests, the Museum finally undertook a search in April and located an original print that had been brought to Argentina by a collector in 1928. Researchers at the Friedrich Wilhelm Murnau Foundation in Germany viewed a DVD of the footage in June and confirmed that it is authentic. 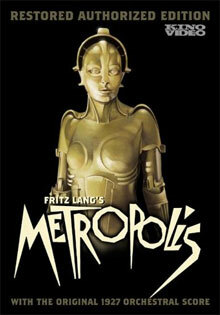 Fritz Lang's sci-fi classic Metropolis takes place in 2026 and tells the timeless tale of class struggle between workers toiling in the gloomy underground and the ruling class who inhabit the stunning futuristic city above. The original three and a half hour film was hailed as a masterpiece, but only truncated versions went into wide circulation, while the original faded disappeared on the cutting room floor. Kino International's 2002 restored edition is currently the most comprehensive version on DVD, even though it's missing almost an hour and a half of original footage. The big question now is whether the film is in good enough shape to allow the release of an unabridged version. This print would have been duplicated on Nitrocellulose stock which is prone to unpredictable chemical self-disintegration. To compound the problem, the film is undoubtedly scratched and damaged from its early life as "just another copy." Fortunately, the technology now exists to digitally scan and restore extremely damaged prints to an extent that was unimaginable even a decade ago.